Teams can be single or mixed gender – 6 runners per team. No limit to the number of teams. Not a runner? No problem – we welcome all levels of fitness! We are proud to announce that for the second time, Waterfall City will play host to the fourth edition of The Barron Corporate Run4Good on Thursday, 24th October 2019. The Barron Corporate Run4Good is a social running event featuring teams from companies, clubs or just a group of friends. This makes it the perfect team building event with live entertainment as well as food & drink refreshments after the run. Get your colleagues involved for an evening of fun! Bring family and friends along too for support and to enjoy the after-race festivities. It’s been proven that team building increases productivity in the office, and with so many of us spending so much time there it makes sense to get to know our colleagues a little better – without spending more time in the corporate box than we need to! 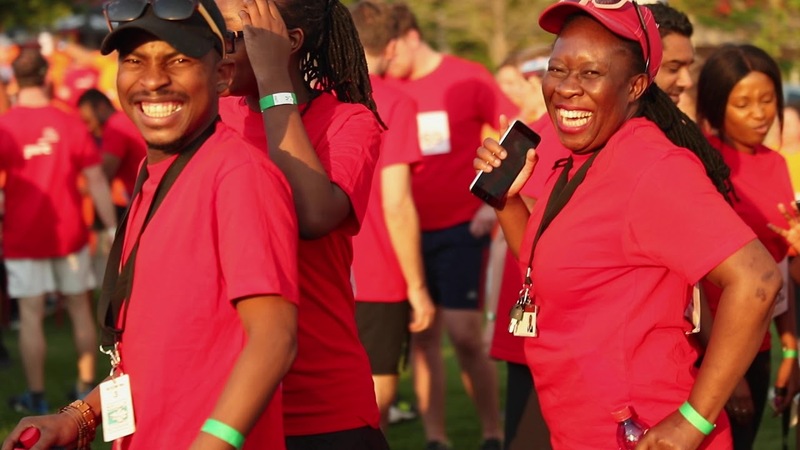 Think of the Barron Corporate Run4Good as a fun evening out of the office, where you and your team can bond in a healthy way, all for a good cause. It’s a 5km run. Companies, businesses, departments, societies, clubs or groups enter as many teams of six as they like. Each participant is awarded a unique race number and timing chip, which must be attached to their running shirt. All participants will start at the same time. All participants will complete the 5km route – walkers, fast walkers, joggers, and runners are all welcome. Finishing times will be registered by our systems and will be available on our website after the event. The best four times will be used to calculate the team’s overall position. There will be a prize giving on stage followed by live entertainment. All participants and spectators are welcome to stay and enjoy.